Imagine having a daughter with chronic illness. Perhaps you have already tried medication or surgeries to no avail, and it is clear that resolving their ailment will be a struggle. Naturally, you seek out the best physician you can find- an experienced specialist with an outstanding record of success. Now, what if upon examination, the doctor decided that they had "served their time" with difficult patients like your daughter and they wanted only serve the most amenable? Your little girl would be left in a state of "needs improvement" while the healthiest patients got expert, specialized care. While I hope the contrived scenario does not exist in the healthcare profession, it is certainly alive and well in secondary education. 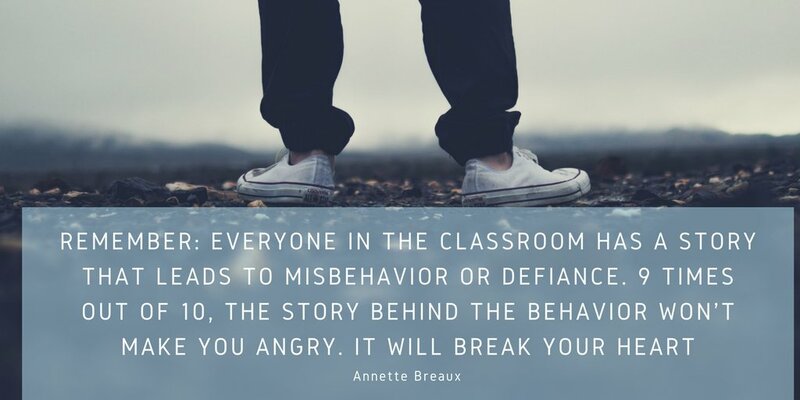 There is an unspoken hierarchy in high schools I've experienced during my 12 years in education: the newest teachers in a school get the hardest-to-handle classes, are more likely to teach inclusion courses, and have less power over which subjects they will teach. As I have heard veterans say, only after "serving your time" (as if it were a prison sentence), can you work your way up to teaching advanced classes or the electives where classroom management is less of a burden and intrinsic motivation is high. The neediest (both cognitively and socioeconomically) children are often scorned by the the educators most qualified to assist them via increased pedagogical knowledge and well-established classroom management practices. "I can't relate to those kids." "I just don't have the patience anymore." "I want to teach students who actually want to learn." I have shared these sentiments in the past, so no judgement. I, too, am coming from a place of teaching all Advanced Placement and honors courses, and I formerly felt entitled. I started my high school teaching career floating around the building with no classroom while working with the lowest pupils in the school, but I had "proven myself" and enjoyed no longer having to battle incessant talking, high absenteeism and student disrespect. I resolutely evidenced myself capable, and now "those students" were a task for the newcomers. In addition to pay and workload issues, I have no doubt that this practice contributes to the 20% attrition rate of teachers in their first three years. 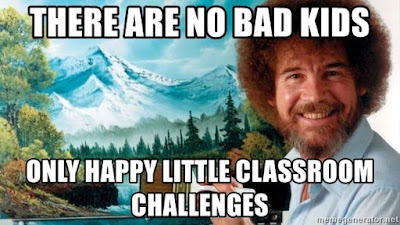 As I changed schools mid-year this past January, I found myself to be the "new teacher" for the first time in over a decade, and as such, I was placed teaching the lowest classes. I was so happy to have a job close to home and with decent pay and benefits that I put my ego aside and took up the task wholeheartedly. I had forgotten some of the frustrations that come with at-risk students- taking work to ISS, contacting parents more frequently, having hallway conferences with belligerent kids only to learn of some fresh hell going on in their home lives, and most importantly, how to teach struggling learners with deficits in reading and prior knowledge. Getting kids to pass the AP Chemistry exam is a cakewalk in comparison. Seeing a English language learner student's face light up brighter than the bulbs in his circuit last week as he feverishly put the wires and batteries together and blew his friends away. Even though he has to use a translating app on his phone for the most basic tasks, he could probably teach me a thing or two about electricity. Watching a young lady on probation consistently score the highest grade on tests and quizzes. She had told me of her time in jail, and I have rarely had such a gratifying experience in the classroom than telling her that she was working her way to freedom in more ways than one. Seeing the look of pride on a gifted young man's face who had failed his two previous science classes as I tell him how wonderful he's doing and how certain I am that he could have a career in science. I was told he ruin my class by previous teachers, and he certainly tried to initially, but I can now add him to the list of children I have positively impacted. I could share more, but hopefully you see my point. My skills and experience should be used where they are needed most, not as a justification for teaching the easiest classes and "best" students. The "worst" students are wonderful, kind, smart, and capable and they have already made me a better, happier teacher. If you have found yourself at the top of the instructional pecking order at your school, I would invite you to remind yourself of that occasionally as well. When's the last time you received a honest-to-goodness handwritten correspondence from someone? I'm not talking about junk mail, bills, or Christmas cards, but a actual personal message penned just for you? How did that make you feel? Important, emotional, humbled? Sure, email is more efficient and verbal exchanges can be powerful, but everyone loves a note of affirmation or thanks. And... that is why I give each new pupil a postcard on the first day of class. 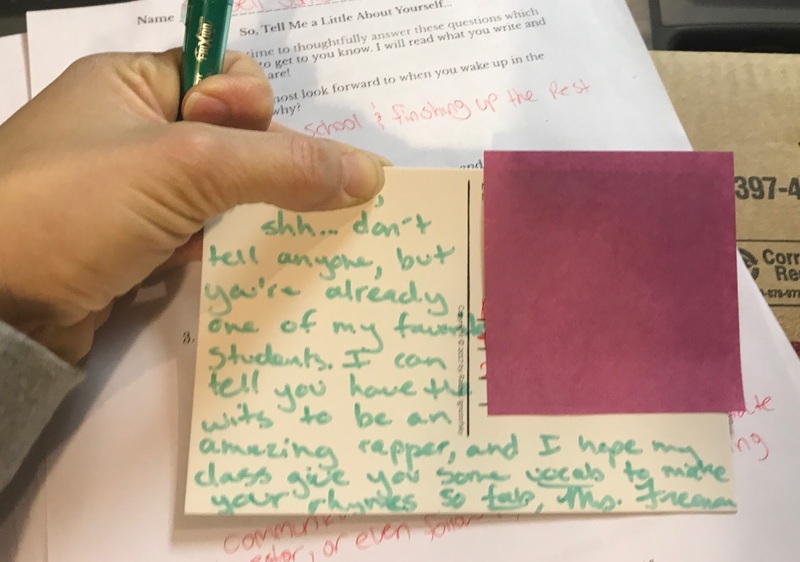 Writing a note to each student in the formative days of a new semester can nurture fledging relationships and help your students feel seen and significant. I figure I can make the choice to write a welcoming note to each student when classes begin OR write up discipline referrals once classes get into full swing. I prefer the former, especially if I have the opportunity to make a young person's day. Sounds rosy and idealistic but too time-consuming, right? Not necessarily. 1. 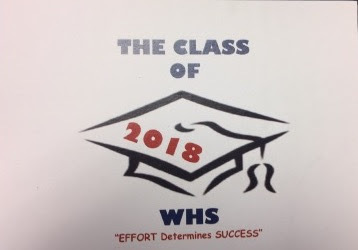 I give out postcards on the first day of class, and have students write their name and address as part of their warm-up. This will keep you from the tedious part of sending home mail*- looking up each kids' information in the computer. UGH! Tip: you may want to have an example on the board. Even some of my 16-year-old AP students don't know how to write their own address! 2. Next, I have each student fill out a "Getting to Know You" questionaire so I can get a idea of their attitudes about science and their aspirations and interests. Here's the file I use. This will give you content for your message, help you to get to know your new classes, and immediately demonstrate to your new students that they are valued. 3. After I have learned my students' names, I spend some time reading over their "Getting to Know You" responses and composing the postcard memos. It typically takes me 1-2 minutes per student. With a 4x4 block schedule and 3 classes per term, my total time commitment per semester is about 2 hours. I spread it over a few days. To make my Fitbit happy, I hop on my treadmill, throw a board across the handrails, and write my notes while walking at a blazing (ha!) 2 miles per hour. I get in a little cardio and a whole lot of warm-fuzzies as I peer into each kids' soul a bit. I also imagine the smiles on their faces as they realize someone cares enough about them to send them a postcard. Y'all, this is what teaching is all about! 4. Finally, I take the cards to my school secretary and have them affix the postage and drop them off in the mail. Done! If the idea catches on, your school can even have cards made such as the ones at my previous school. If you missed the chance to start the new year with postcards, it's not too late! 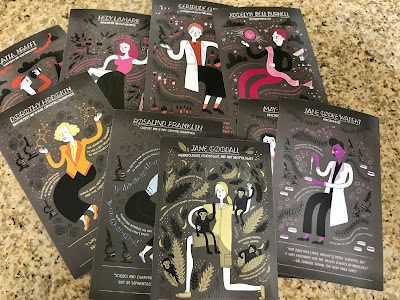 The first time I used this technique, I kept the cards in my desk and wrote a few each week as I "caught" each person doing something helpful, studious, or out-of-the ordinary. This is also a great way to cheer yourself up after a hard day or avoid an extra, bulky task at the beginning of a new semester. *Props to the amazing math teacher, Melinda Wilder, who shared this brilliant time-saver with me a few years ago! no career goals, interests, or anything unique. ones who need the cards the most!